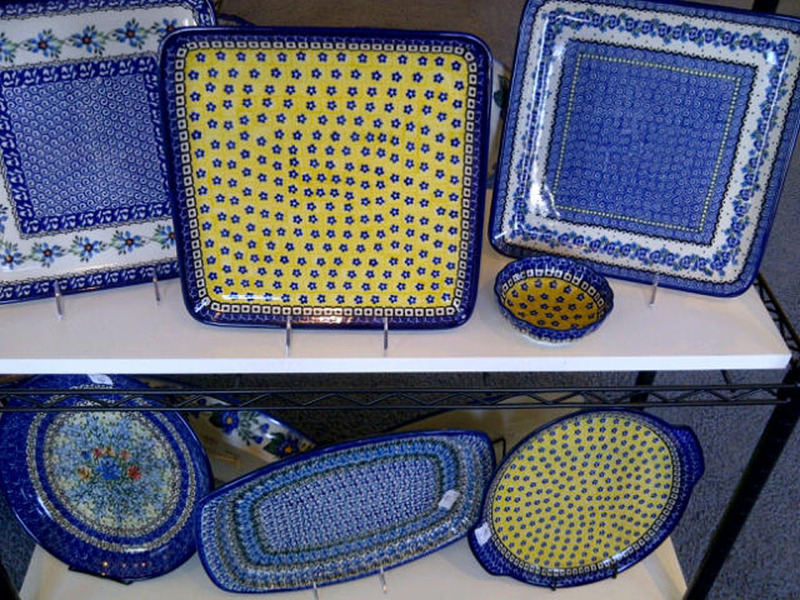 Polish stoneware, also known as Polish pottery, originated as folk art in the early part of the eighteenth century in the German province of Silesia, now a part of Poland. The peacock feather inspired the early decorations. The history of pottery making in this ancient region of Europe dates back to the seventh century. 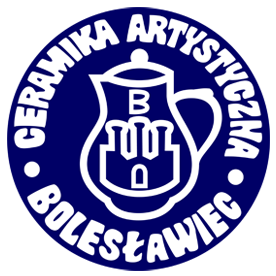 Today, in the small village of Boleslawiec, Poland, this time-honored tradition of artistically crafted stoneware continues. 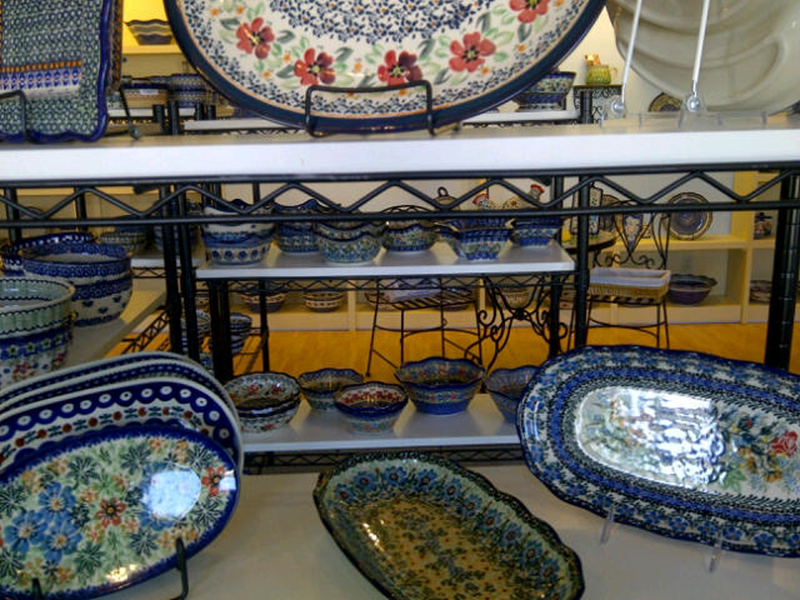 Polish stoneware is truly beautiful for all special occasions as well as very durable for everyday use. It is crafted out of clay indigenous to this region. Only natural and ecological materials are used throughout the entire production process. Polish stoneware is cadmium and lead free. Due to the special glaze and very high firing temperatures of 1,250 degrees Celsius, it is extremely durable and highly resistant to chipping and scratching. 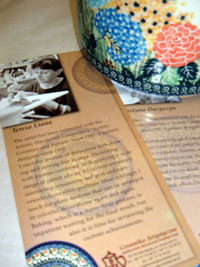 Each piece of stoneware is handcrafted and hand decorated by artisans, using small sea sponges to apply unique and beautiful stamping patterns. Decorations and patterns come in a wide variety of offerings. Traditional patterns are loved and appreciated for their strong and vibrant colors of cobalt blue, forest green, and reddish browns. Unique (Unikat) and Signature patterns are created only by master artists. These patterns are truly unique and reflect the artist’s individual expression. All colors and designs are crafted to compliment each other and to invite you to enjoy the fun process of searching for your perfect combination. 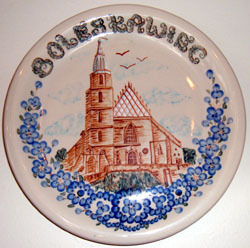 Polish stoneware is safe to use in the oven, microwave and dishwasher. However, please avoid extreme and sudden temperature changes (e.g., broiler, immediate refrigerator to oven, or oven to cold water). When used in ovens, our Polish stoneware provides an even heat distribution while retaining moisture. For meat baking, we recommend adding a little water to the bottom of the stoneware. Due to the clay’s natural tendencies, all foods stored in our Polish stoneware will preserve freshness for extended periods of time. The hard glazed finish makes cleaning your Polish stoneware easy. 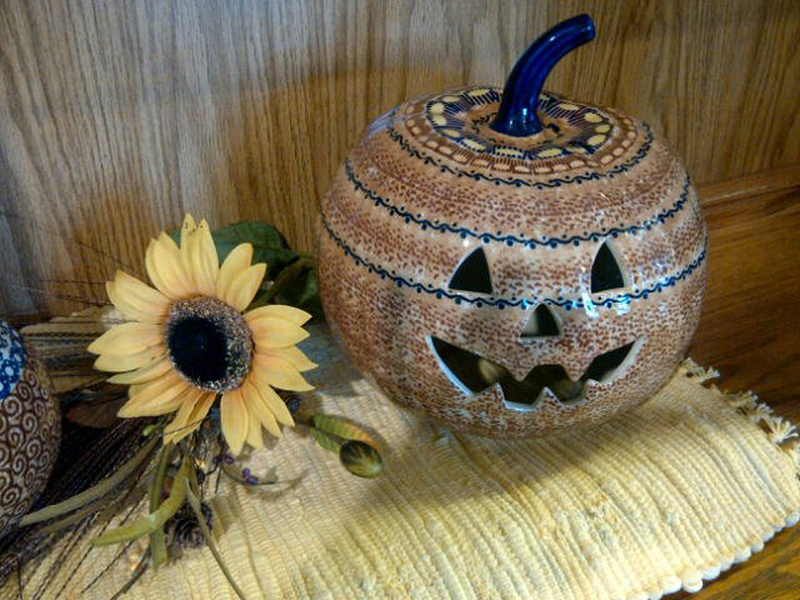 As with any hand formed and hand painted stoneware, colors and patterns may vary. 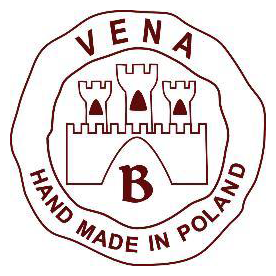 Thank you for your purchase of our Polish stoneware. We hope you will enjoy using it!